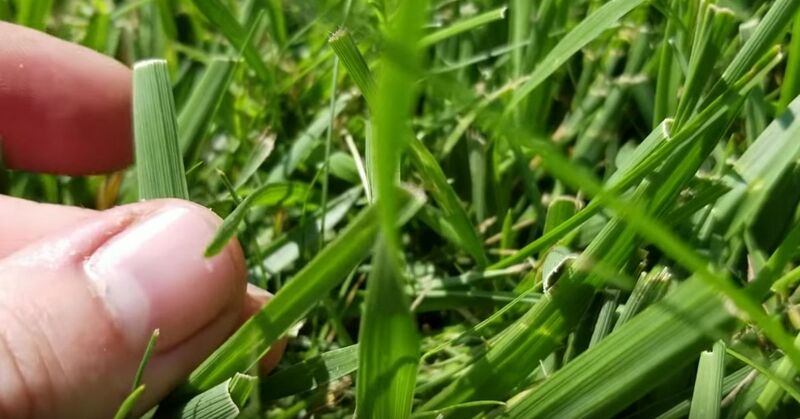 Most homeowners will agree, that one of the most frustrating aspects of keeping a lush, green lawn is keeping crabgrass under control. When left to its own devices this annual weed can told hold in a lawn and be extremely difficult to eradicate. The problem with crabgrass is that is grows the entire season, continuously producing seed heads as it matures. So while it will die when the cold season rolls around the hundreds of thousands of seeds it produced will germinate the following spring. The following tips can help you prevent these seeds from germinating, and control the plants if they do. One of the best ways to prevent crab grass in your lawn is to keep the weeds from even germinating. Seeds will germinate when soil temperatures are between 50 and 75 degrees. By applying a pre-emergent herbicide (The Garden Counselor : Lawn Care explains exactly what a pre-emergent is, and how it works) early in the spring when soil temperatures are lower, it will significantly decrease the amount of crabgrass that germinates. If the pre-emergent doesn't prevent all of the seeds from germinating, you can pull crabgrass by hand when it's still young and small. To help make it easier water your lawn just before or do it just after a rain to soften the soil. When crabgrass grows into larger clumps and begins to spread, your best bet may be to spray with a herbicide that will kill the plants and the root systems. Care must be taken though to not accidentally get weed killer on desirable plants that could be affected. A strong, healthy lawn will be able to out compete crabgrass and keep it from spreading. Water your lawn less often but with a greater amount to encourage the root systems to grow deeper into the soil profile. This will make the lawn more drought tolerant and better apt to fight off a crabgrass takeover. Fertilizer high in nitrogen will promote quick, vegetative growth, including prolific weed growth. If crabgrass is fed continuously it will grow larger and continue to spread, making it harder to control. To prevent that it's best to use a more balanced fertilizer that doesn't have a high nitrogen percentage. To help keep crabgrass at bay, it's best to keep your lawn 2-3" long. This will help to shade out new seeds from germinating and will keep the grass healthy and strong. If grass is mowed too short, it will cause it to be stressed, making it more susceptible to the invasion of crabgrass. A thick, lush lawn is the end goal of most homeowners, but that doesn't necessarily mean a thick root systems. If grass is allowed to become too compact it will fight for nutrients and water, making it more prone to weed invasion. Every couple of growing seasons have it aerated to thin it out slightly, improving drainage, and keeping the grass better able to fight out competitors. If you prefer an organic, or natural approach, to maintaining your lawn, you can apply corn gluten meal instead of a herbicide to help control crabgrass. Corn gluten meal will help to prevent root development, this hindering plant development. Check out the Idaho Statesman article if you're interested in more information on corn gluten meal to control crabgrass.